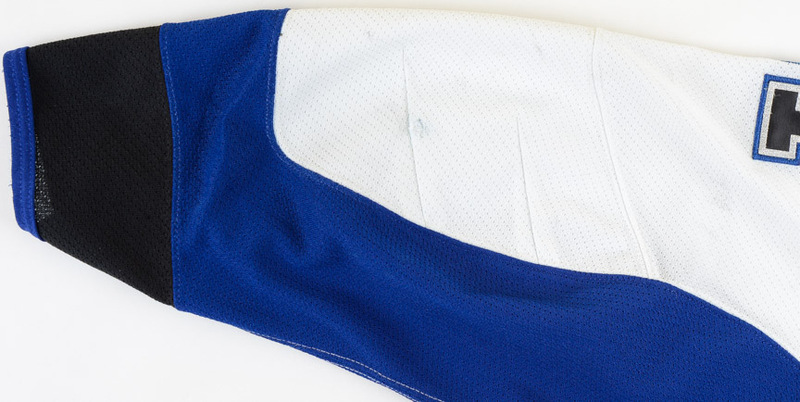 This white air-knit gamer by Reebok was worn by Steven Stamkos during the 2008-09 NHL season, his rookie year. The Tampa Bay Lightning selected Stamkos with the 1st overall pick in the 2008 NHL Entry Draft. This Ontario native has lived up to the massive hype and is looked upon as one of this generation’s premiere goal scorers. Stamkos has missed significant time due to injury in a couple of different seasons, yet is compiling wildly impressive statistics. At just 28 years of age, and with 10 NHL seasons under his belt, Stamkos is producing at better than a point per game in his career. 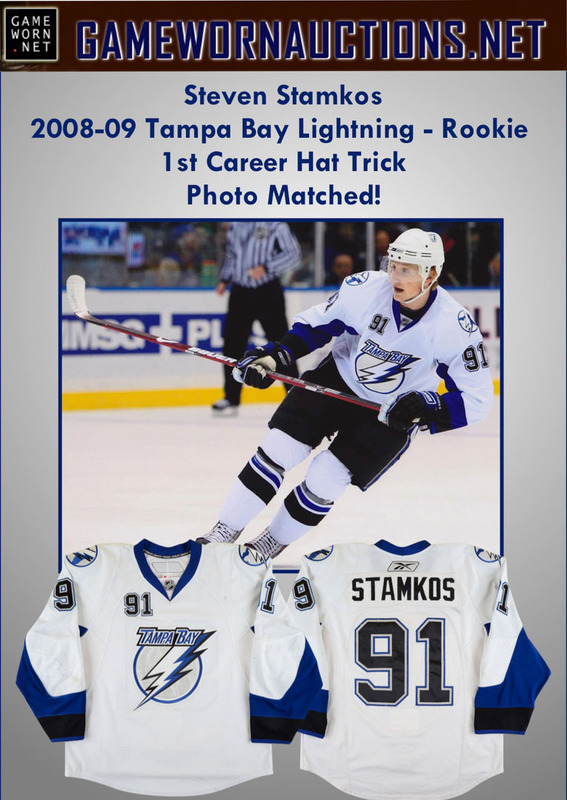 With nearly 350 career goals as he enters 2018-19 and having led the NHL in goals and winning the Maurice “Rocket” Richard Trophy in 2010 with 51 and 2012 with 60, Stamkos is on a blistering career pace. Steven has also finished runner up in goals on three occasions and was the Art Ross Trophy runner up twice in his young career. Stamkos has two 2nd Team NHL All Star selections at Center to his credit and has played in 5 NHL All Star Games. 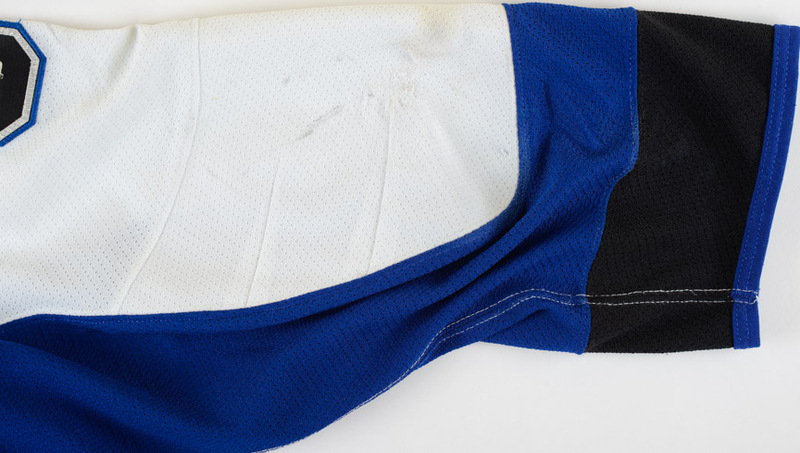 The game wear on this size 54 sweater is solid and consists of stick and slash marks, board burns, board paint transfer, un-repaired burn holes, inner pilling and some team repair work to the right elbow. 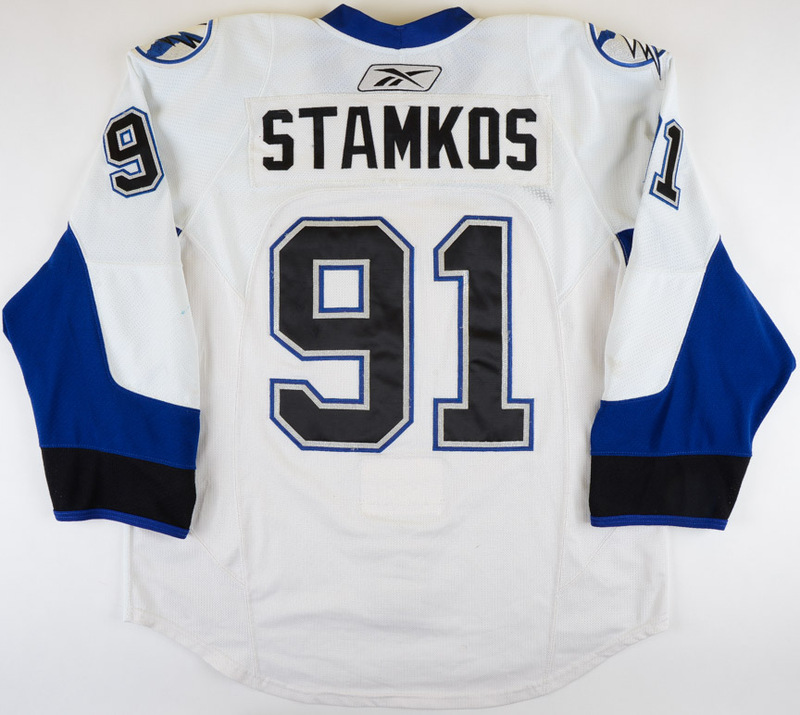 Shown above are some beautiful photo matches of Stamkos wearing this exact jersey during the 2008-09 season. 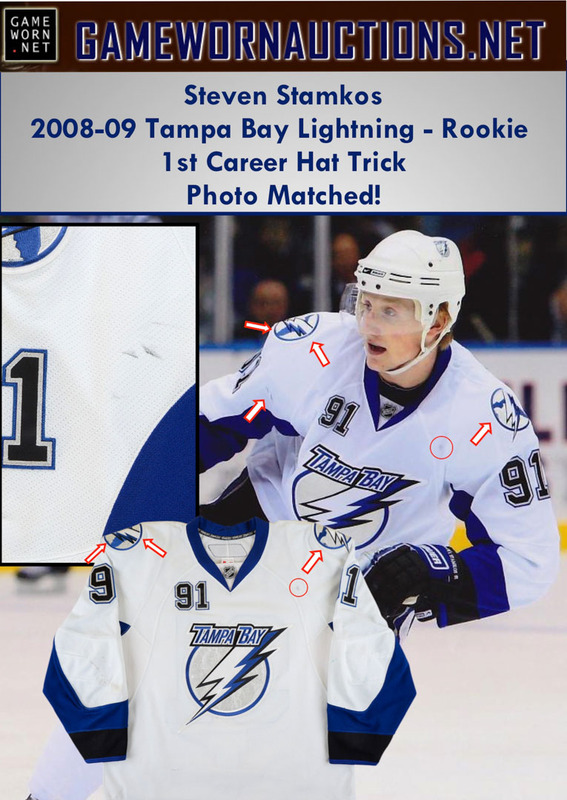 One of those photos show Stamkos wearing this sweater on February 17, 2009, the night he scored his first NHL Hat Trick. A well-worn photo matched offering, hailing from this 5-time All Star’s rookie season and matched to the night he netted his 1st career NHL Hat Trick, choice! This jersey will be accompanied by a Lightning team letter.